LA CEIBA, Honduras – A quiet student approaches a nondescript wooden box and casually slips in a folded piece of paper. On it is scrawled a burning question. These are just a few examples of the many questions that adolescents, who often have few other sources for this critical information, have placed into these boxes, which can currently be found at schools and youth health centres throughout Honduras. Soon, a thorough answer to the anonymous question will be written by an adolescent peer educator – with guidance from an adult expert, and posted in a public glass case for all to see and learn from. Each of these educators has received training on sexual and reproductive health through the Committees for the Prevention of Pregnancies and STIs among Adolescents (COPEITSA) programme, which is supported by UNFPA. Jennifer, age 14, is a COPEITSA peer educator. She says that when a representative from a local health centre visited her classroom to recruit volunteers for the programme, her hand immediately shot into the air. At the time, her mother had recently died, two of her sisters had already become adolescent mothers and her grandmother, who had adopted her, had emigrated to the United States in search of work, leaving Jennifer full of questions about how to avoid becoming an adolescent mother, like her sisters, but without many adults to turn to for answers. In addition, she has been officially invited to share her knowledge with groups of young people at local health centres and at her school. 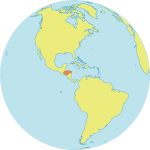 In Honduras, there is little public discussion around contraception, family planning or sexual and reproductive health, including in most schools, and according to UNFPA estimates, 26 per cent of Honduran women give birth before age 18 – the second-highest rate of adolescent pregnancy in Latin America. In addition, 46 per cent of all Honduran women of reproductive age who would like access to modern contraceptives do not have it, and the country registers approximately 60 per cent of all new HIV infections in Central America. COPEITSA is seeking to drive down these rates by not only ensuring that young people receive comprehensive sexuality education, and also information on gender equality and empowerment, but also that they receive it from the people they are most likely to listen to: Their peers. Since its launch in 2013, the programme has trained over 1,500 adolescents as peer educators, and they have in turn reached countless more – presenting information at fairs, movie theatres, concerts and on YouTube, handing out flyers from parade floats and even performing educational puppet shows. “We are getting an education so we can educate others and prevent girls from raising children, which is the phenomenon we are experiencing,” says peer educator Gabriel Alejandro, age 18. And the programme doesn't only generates enthusiasm among young people, it has also received broad support among civil society groups and government representatives, including from the country’s President and First Lady. The Question Box at Gabriel’s school, the Manuel Bonilla Institute in Le Ceiba, often receives 30 to 40 questions a week. And Gabriel works to diligently answer the questions, and also to engage in dialogue with her fellow students. “Young people trust each other,” she says.